Junho moment is actual keGRan moment. thanks to Jang Wooyoung's fans beside me, who make this Junho moment happened. so here is the story, I got second row, thanks God. second row means 3-4 meters away from the stage. my luck keep continue. 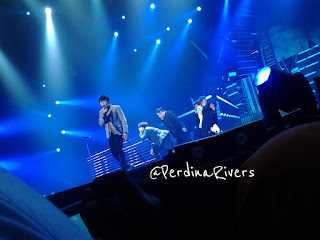 Chansung, Junho, Nichkhun, and Wooyoung position always in front of me. especially Wooyoung and Junho. To be honest, I love all 2PM member but Junho and Wooyoung never be my number one bias. but that night, Junho stole my attention. my youngest sister and some of my friends are Junho's fans. they asked me to capture his picture as much as I can. They lucky. Junho always stand in front of me. Junho that night is super cute. he look so neat, his skin so white and handsome. handsome mean super handsome. IMO Junho is more handsome than Nickhun whose seem skinier. Junho's outfit is really help his super gorgeous look. He was wearing black shirt and black skinny jeans. Yeah drool! he also wear white outfit, okay, I really want to jump to the stage, and ask Junho, 'would you be my groom?'.. he looks like Prince charming from nowhere island. daebak. my area is full of Wooyoung fans, so 'Juno' shout from me is clearly hear. and (Drum roll.....) Junho is waving at me and smile. 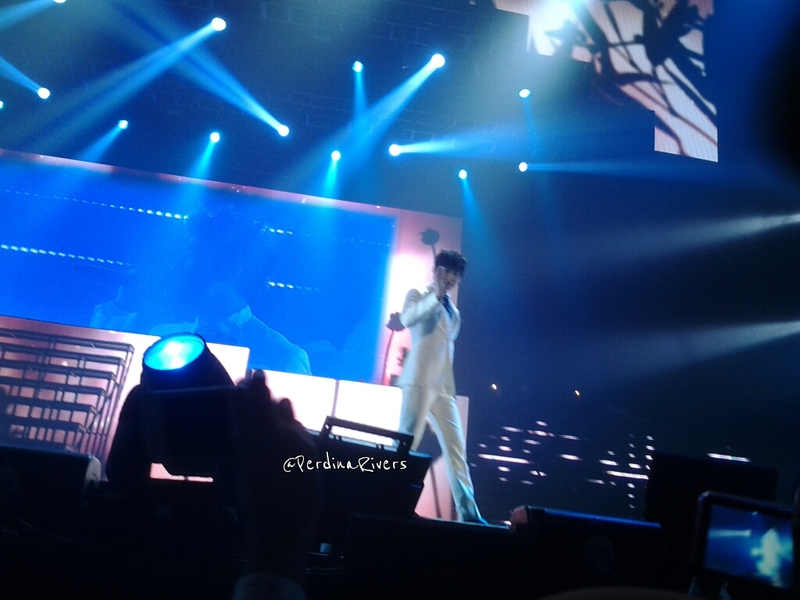 Omona.... And universe is really on my side that night, my camera captured Junho when he was waving at me.